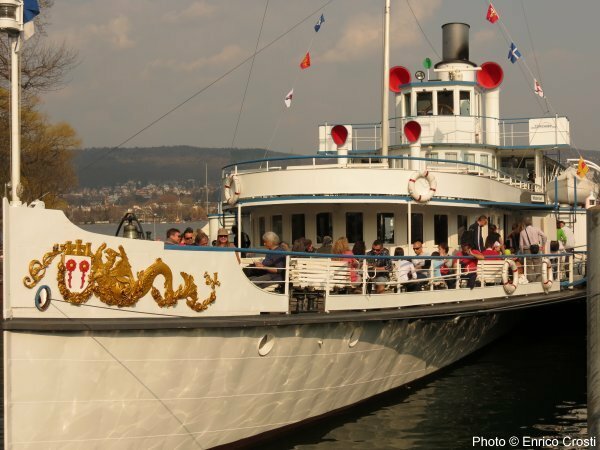 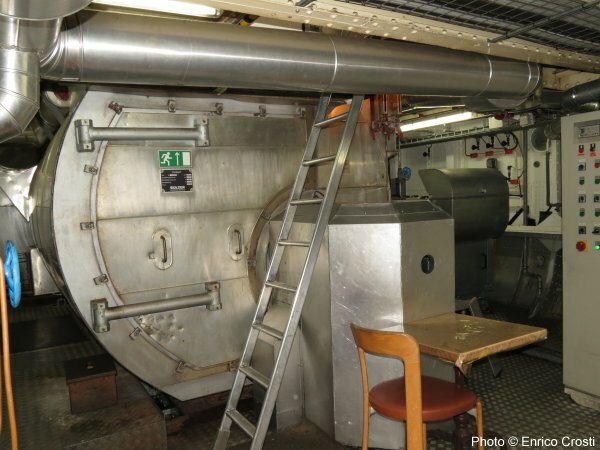 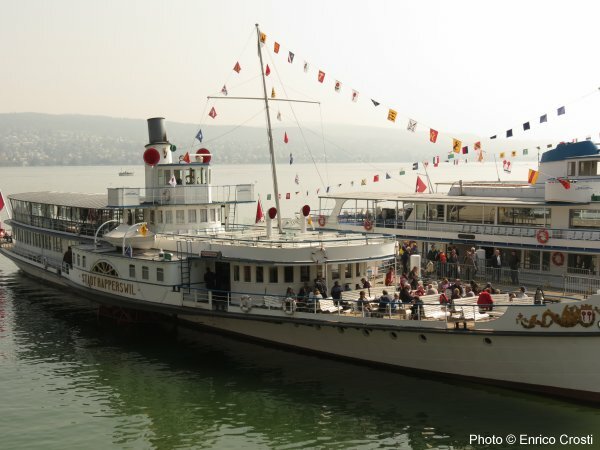 The three-pass boiler onboard the Paddle Steamer Stadt Rapperswil. 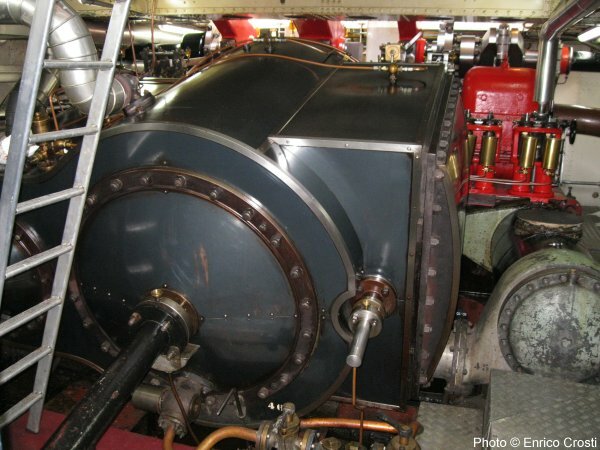 The low pressure cylinder and its steam chest. 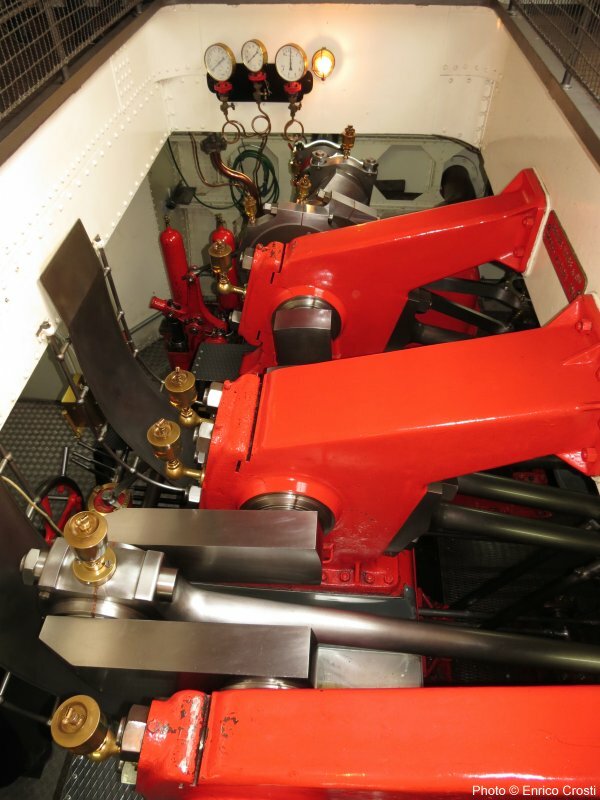 The crankshaft onboard Steamship Stadt Rapperswil.